So just a quick post today featuring one of my favourite gluten-free recipes ever. I am a big fan of brownies and my ultra-rich recipe is one I turn to a lot but when I was doing my gluten free trial I tested out this recipe and found it to be equally as delicious and just as easy to make. Compared to the my usual brownies these aren’t quite so rich but still chocolatey with less cocoa, more chocolate and the addition of cranberries and caramel drops (which add a little bit of a black-forest spin to a simple brownie recipe). 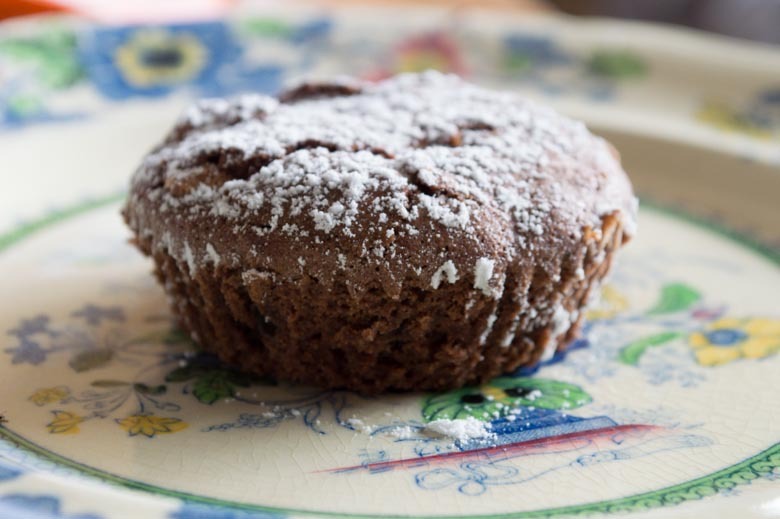 This recipe makes about 18 little muffins (which I think are kind of adorable) or you can make about 18 slices using a tin. The recipe is taken mostly from a Julian Lelerc recipe for GF brownies (which I cannot find online and which I have a cut out article of which gets increasingly dirty and damaged each time I make these) and really is incredibly easy whilst being wonderfully tasty and full of chocolate goodness. Preheat oven to 180.C and either line your muffin tin or baking tin with muffin cases/baking paper. Add in the extra ingredients and stir to combine. These are delicious and moist, rich but also complex with the taste of tart craisins/cranberries and delicious morsels of caramel. These also last really well if you store them in a airtight container. I am sure you could substiture the GF flour for normal flour but I have no idea if it turns out the same. 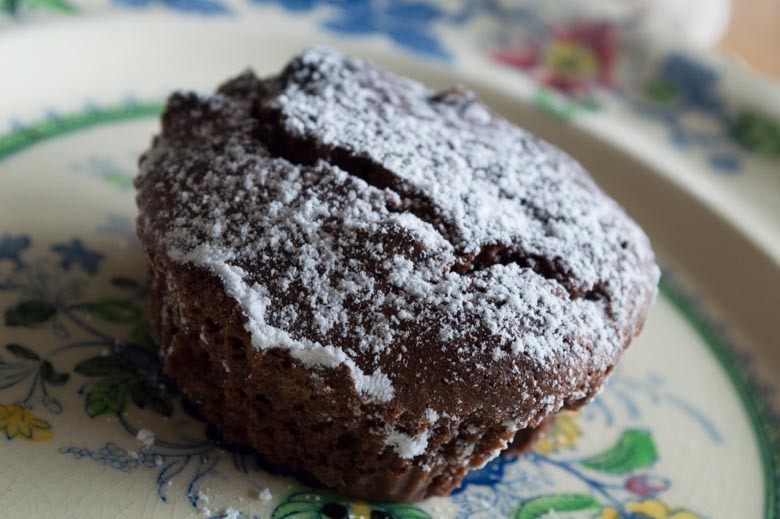 I think the dense nature of GF baking really works for this recipe and creates the perfect little lunchbox treat for work, firm on the outside but deliciously chocolatey on the inside. Definitely give it a try, they are basically fool proof. The only real warning I have is to make sure you don’t overcook them. These are 100x nicer when they are still a little under on the inside. 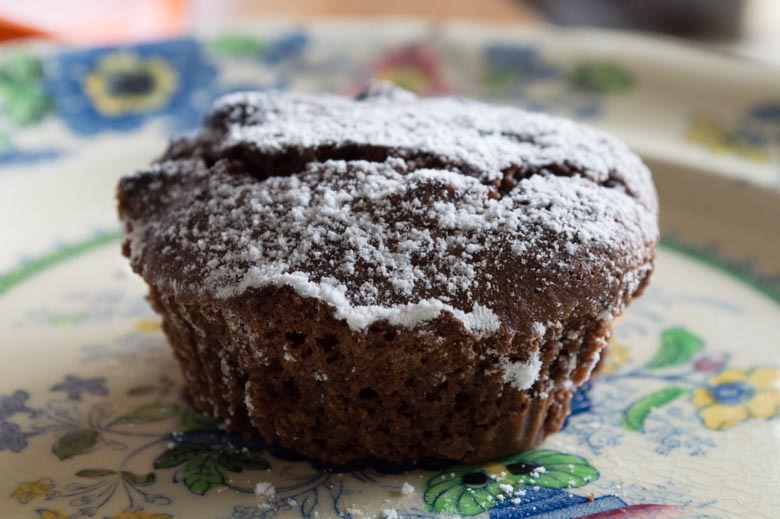 This is harder to acheive in muffin form but with a little careful testing can still be done.